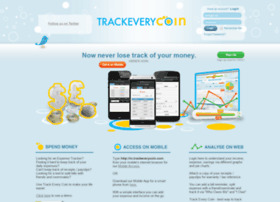 trackeverycoin.com - Track Every Coin. Track Every Coin - is a Free Expense tracker to keep track of your daily expenses. You also can set bill reminders, split bills with roommates, track reimbursements and analyze your savings.